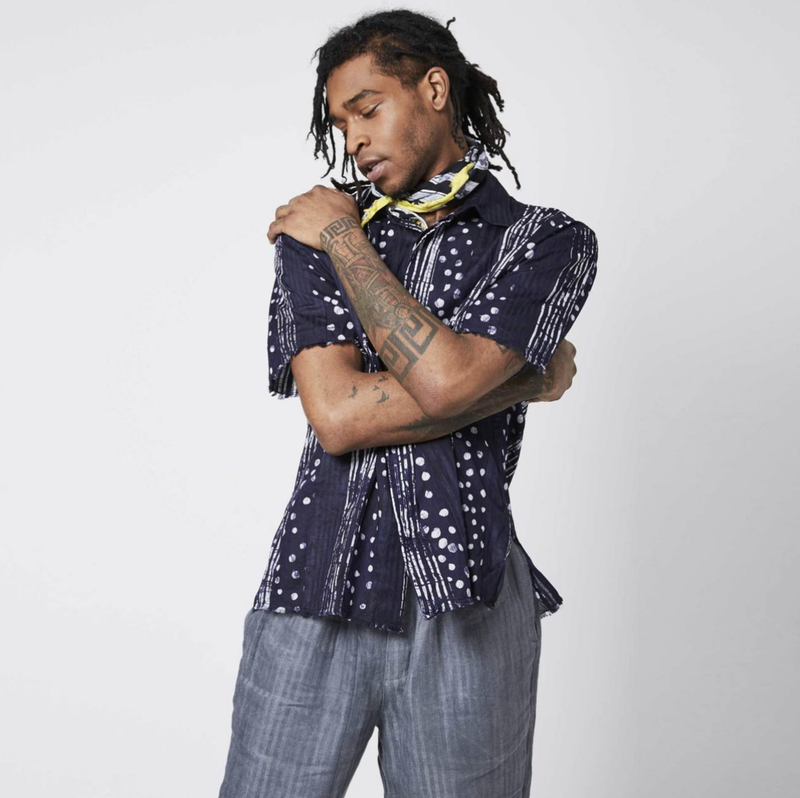 In honor of fathers and father figures to be celebrated worldwide on the third Sunday in June, PROTOChic rounds out our favorite selects from Nigerian menswear label Post-Imperial. With a global supply chain that includes sourcing silk twills from Portugal, hand-dyeing by master adire artisans in Osobgo, Nigeria and later manufacturing in New York, every Post-Imperial piece is expertly one-of-a-kind. A father of two, creative director Niyi Okuboyejo has built a formidable collection of easy shirting, pocket squares, and scarves to ensure that fathers and father figures everywhere shine all year round. The Lagos Shirt in varied patterns is the perfect choice. Get yours today here.